You can earn 220 yards with this purchase! 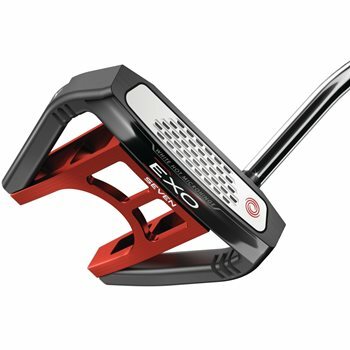 The Odyssey EXO putters have multi-piece, high-MOI construction, elegant detailing and luxurious finishes. The EXO mallet putters are available in both face balanced and toe hang versions and feature a new White Hot Microhinge insert in the EXO lines that feel identical to the White Hot insert. Skim Milling is used to refine edges and corners while giving the surface a premium look and feel.